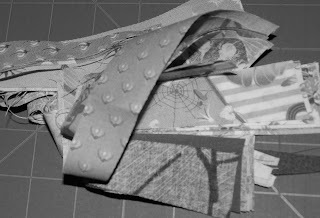 these are estimates since I did the 12 inch with scraps. Now I have a goal to do one in Christmas fabrics BEFORE Christmas if that's possible. Thanks for stopping by! It's Lauren and Jessi Jung's new site. They are a mother and daughter team that has a new fabric line being released by Moda. It's called Botany. I have a bit of it from market and it's going to be a fun line to create with. 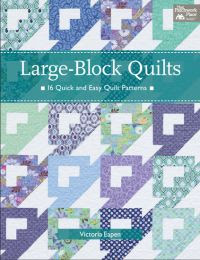 I just wanted to share their link because they have 4-5 free craft, applique and quilt patterns on their site now. Enjoy!! I whipped up this fun little fabric wreath during our road trip to Iowa for Thanksgiving. Rachel gave a tutorial on ModaBakeshop. I used a Sultry honey bun and a 14 inch wreath frame. p.s. don't forget to enter my 400th post giveaway! It's my 405th post! So I didn't realize how far over 400 I really was...but Wow! 405 I can't hardly believe it myself. I have been kinda holding on to some cool stuff that I picked up at market just for this etc. 1 yard border fabric plus 2 charm packs of Summer's Basket of Flowers fabric. Here are the 5 ways you can win. 1. leave a comment on this post, make sure your email is accessible via your profile or you include it with your comment so that I may email you if you are a winner. 3. follow me on twitter and let me know you are by leaving a comment too. 5. Blog about my giveaway and leave me a comment with the link. I will use a random number generator to choose the 5 winners on Saturday, December 5th. Good Luck!! And yes you have read correctly. 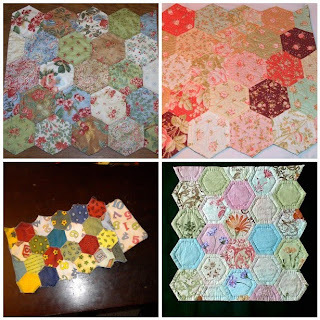 I have changed by blog to Spun Sugar Quilts. I decided on a name that was more quilt related. I hope you like it. 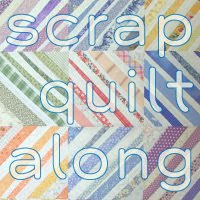 I am in the process of changing my blog to a web blog Spun Sugar Quilts! I have been in transition here. I hope all the information transfers! Yikes. I just want a website/blog gear more toward quilting and designing and all the things I love. I have a new etsy site as well and hope to open up "shop" there in the future. Stay tuned as I have a giveaway coming VERY soon! 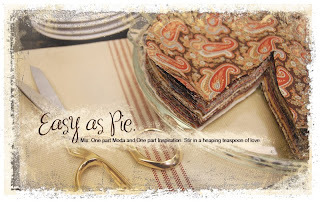 New Tutorial on Moda Bakeshop! which can be found at The Quilt Shoppe. It was suppose to be a table topper...but it was so pretty hangin' over my new IKEA desk chair...that it transformed into a "chair scarf". I've been sewing here and there, for something special. ...this is the pile of 'scraps'...wonder what I could make with the scraps? p.s. getting VERY close to my 400th post giveaway and an announcement!!! A friend and I, plus our 2 girls, set out to IKEA a couple of Saturdays ago...can it be THAT long ago? Time is zipping by these days. I have been soooo busy at my office..which is good...but I'm exhausted every night. At IKEA I purchased a few fabric items...these are my first IKEA fabric buys. I haven't used them yet...I have only been using MODA lately LOL. I hope to make my intended project this weekend..we shall see. The picture shows a fraction of what I came home with. I bought some Christmas decor, 2 bookcases, a desk chair (post coming soon) and a small table. I really love IKEA. If only it were closer. These are so special. I am amazed with the skills, quilting, quilting designs, and fabric choices. I am so inspired I'd like to go home and make another...oh but darn I can't win the 2 jelly rolls! But you can so I hope you all decide to enter your one pack creation. I used my GO! cutter to cut the circles. I think they took me 20 minutes start to finish. My little girls love them! This quilt just arrived home from my machine quilter here in Ohio. I love the quilt design as it mimics the patterns in the fabrics. I am hoping to have this one done for a Christmas gift..we'll see as the crunch is really on right now. 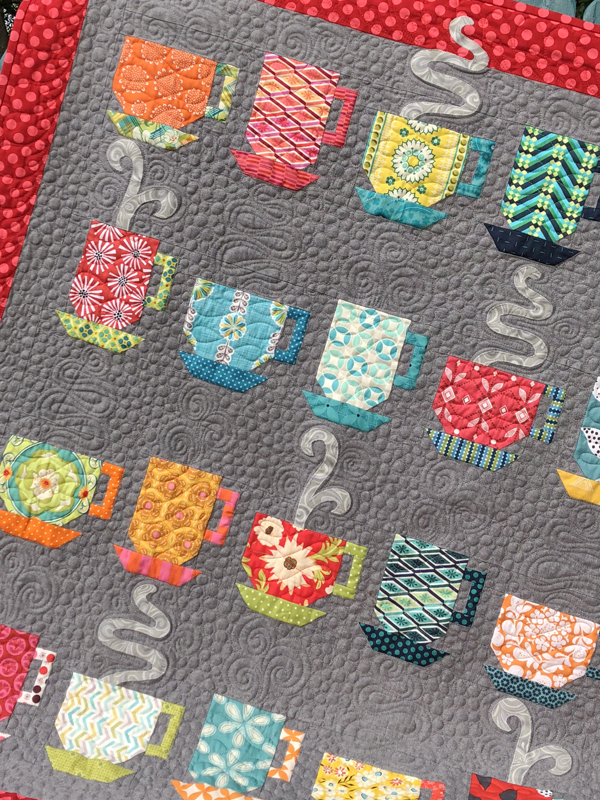 Have you heard about this quilt along? Fruit Striped Gum Quilt by CherryHouse Quilts. I stumbled upon it through a facebook link. Are any of you joining? I am contemplating it..just need 24 more hours a day and a bit of interfacing LOL. 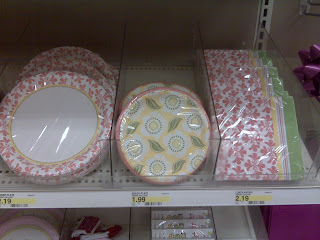 Paper Plates CAN make me really happy..
Next, I stopped at Joann's and got the beads I'd forgotten last week to make the super duper cute Yo-Yo Christmas tree...ah so there were a few other minor decor items that jumped in my cart...they weren't on my list so i don't have to count them. Like these...little cutesy ribbons...umbrellas in rainbow colors? they just jumped in my cart! Pin Topper of the Month Club!!! In case you are wondering, I am not getting paid for this. I just really really love Gigi's work. 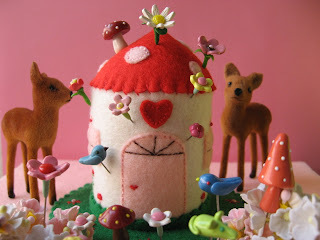 She makes them all by hand...That is very important for me! If you are interested in her other goods she also has an etsy site that will be open 24/7 starting Monday! p.s. Today is Veteran's Day and In remembrance of my Grandpa Cook who served as an MP in Germany during WWII. I just wanted to say God Bless all the Veterans of armed forces on this 11th day of the 11th month. I was extremely fortunate to score one of these at Quilt market. 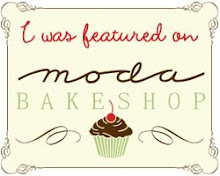 A Moda Bakeshop Sampler. 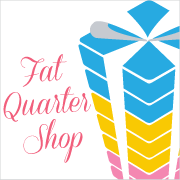 Sampler Boxes can already be found at the Fat Quarter Shop. My first finish is a small tumbler made with Garden Party by Blackbird Designs it measures 10 inches X 12 inches . I have 3 others started. One project has been cut and thus put on hold until I can look at it again. The other 2 I have started, use Sandy Gervais new line and Lila Tueller's Eden. There are 12 total and as I said before...not sure I can actually do this with all the other commitments I have...we'll see. why of course..a yo-yo Christmas tree decoration!! This is why I bought it...first it's Authentic, second it's just adorable, and third it was designed by Sweetwater...and I ♥them. and I cried a little..... she cut right through one of my hand pieced projects....while I was going to the restroom...it was 2 minutes tops...AAAARRGGH!!!! p.s. heading to IKEA today....bookcases? sure...assorted props for pictures..sure thing...and well anything else we can find!